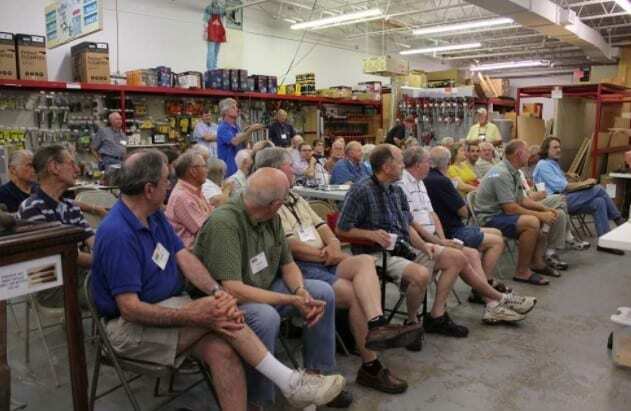 →What Do You Call a Group of Woodworkers? Why join a group of woodworkers? Have you ever wondered what a group of woodworkers is called? If you are a woodworker and you have never given this much thought then you will surely be surprised that there is really a specific term for an actual group of woodworkers. Why the need for a collective term? Woodworkers from all walks of life are a unique breed of men and women. They live, eat and breathe wood. Woodworkers feel connected with wood and with this they also feel a connection with nature, with other woodworkers who understand what wood is about and how to treat wood in the most suitable manner. There is a need for a collective term for woodworkers because they want to connect and create more interesting project that display their creativity and of course their overall love for wood. It was in August 18, 2015 that an article appeared in Popular Woodworking official site about the collective term for woodworkers. The article, written by Mike Wallace thanked Bill Lattanzio regarding his contribution to the site. Lattanzio suggested that “grove” would be the most appropriate term. Wallace was the chairman of a committee tasked to choose the winning suggestion from Popular Woodworking members. And “grove” is not just going to be a lingo among woodworkers; it looks like the term will stick to woodworkers from everywhere. Find out why of all the wonderful suggestions, “grove” was chosen as the winner. Here is grove as well as three of the other most popular choices. According to the Webster’s New World College Dictionary, the official dictionary of Popular Woodworking, grove means a small group of wood or group of trees without undergrowth. It is also a group of trees planted and cultivated to bear fruit, nuts, etc. Lattanzio might have chosen grove because it is where useful and strong material for wooden projects are harvested which may have been appropriate as a collective term. A grove is certainly a fitting term since it is basically where good solid trees are found. Trees which could be used as suitable material for any type of project. A grove is also a place where you can find a serene, scenic place. A place where woodworkers and hobbyists can find true inspiration. A suggestion came up from a member saying that a knot may be a good suggestion for a collective term for woodworkers. The article did not mention who suggested that knot was a good term however it seems that it’s a fitting term defining woodworkers coming together as a group. Woodworking is more than just something that keeps people together, it collects people under a common ideal, a common goal. And because of a strong community of woodworkers online, there is no doubt that this knot is getting stronger and stronger. Woodworkers are now interconnected with the web; they now share projects, new techniques and cool inspirations easily. Just proof that the knot is as tight as ever. A flannel is a soft-woven fabric that is made of wool or cotton which is milled and raised to be used as material for clothing and bedding. The Popular Woodworking article did not mention who suggested the word however it may have been due to the nature of flannel. This type of material is soft yet when woven together, is strong enough to be used for a variety of purposes. A group of woodworkers is like flannel which when gathered together can be used in a variety of ways. Woodworkers are versatile like flannel in the sense that they can work on simple to complex projects with ease. A panel is a group of people with a specific ideals which is fitting for a group of woodworkers. A panel could also refer to wooden pieces which are definitely fitting as a name for the group. The Popular Woodworking site did not indicate who suggested the term however despite being a good idea; this was not quite as popular as grove. 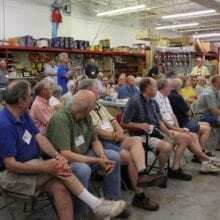 If you are a woodworker and you want to connect with people who share the same interest as you then you must join a woodworking association. If you are someone who wants to get more inspiration and would like to talk to people who understand woodworking like a hobby then you can get good inspiration when you join a local group. And if you are looking for ideas to turn woodworking into small home-based business then you will find awesome ideas from a grove of woodworkers who are engaged in business. Here are groves that you must check out. This list is a combination of local and country-wide groups which can help you with your woodworking hobby or business. The AWFS is the largest national association in the United States that promotes the interest of a wide array of companies that provide materials and supplies for the home and commercial furniture industry. The goal of the AWFS is to strengthen the value of the AWFS Fair which is held biennially for attendees and exhibitors. It strives to promote industry education and to create a cohesive coalition between woodworking industries and become a voice on Public Policy Issues that pertain to the industry. This grove started in 1911 as the Suppliers Chapter of the California Furniture Manufacturers Association. The WMIA is the voice of woodworking machinery importers and distributors. The grove was established in 1978 to represent importers and distributors of the woodworking machinery and ancillary equipment located in North America. The members of the WMIA include companies that import and distribute industrial woodworking machinery including suppliers, manufacturers, tooling companies and education institutions. Its mission is to establish a platform for its members to present the best global technology, information and services to the North American marketplace. This grove is made up of woodworkers found in and around the Atlantic region which is dedicated in promoting good woodworking practices in the area. The Atlantic Woodworkers group ensures that the best intentions for woodworking and the establishment of fair and legal practices are kept. A collective term for woodworkers is a grove. Like a grove of trees, woodworkers come together to create a strong and lasting bond with fellow members and preserve ideals for woodworking so that the industry can prosper. If you are an aspiring professional woodworker then you must join a grove to meet with other members that share similar thoughts about woodworking. You must also join a woodworking grove if you are planning on starting a business based on woodworking. Do you have other suggestions for a collective term for a group of woodworkers; let us know from the comment section below. If you like this article, share it with people who love woodworking as much as you do.